A new EU Copyright Directive is being proposed which could have important implications for commercial online platforms. If the proposals are implemented, those platforms will have to pay a licence fee if they want to share news stories and monitor user-generated content for infringing material more carefully. The proposed Directive includes a number of changes but the most controversial are contained in Articles 11 and 13. Article 11 – a “link tax”? Article 11 has been dubbed the “link tax”. 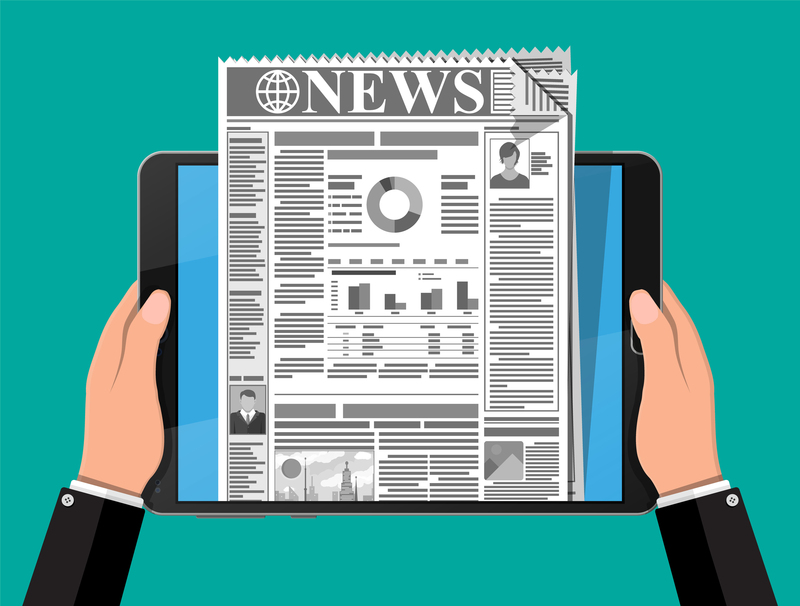 It would mean that news aggregators such as Google News would have to pay publishers and news agencies to display snippets of their articles in search results. This effectively extends copyright protection to headlines and other short phrases which do not currently benefit from protection. The proposal is designed to compensate creators who struggle to generate revenue for their work online. It is part of a broader package of reforms which attempt to redress the balance between powerful platforms and press publishers. The issue is not straightforward. On the one hand, news aggregators help publishers by sending millions of users to those publishers’ websites. On the other, Google News (and others) generate a huge amount of revenue, albeit indirectly, through their aggregation service and are not obliged to pay the publishers a penny. As might be expected, it has received strong criticism from Google and other news aggregators who are highlighting the first argument. They also say it will inhibit access to information. In 2014, Spain passed a law similar to this and Google’s response was to shut down Google News in that country. They are now threatening to pull the plug on Google News throughout the EU if the directive comes into force (although we should perhaps not take this threat too seriously. Pulling out of Spain meant losing access to 50 million citizens. Pulling out of the EU would cut off access to 500 million citizens). The latest draft of the legislation does include a carve out for hyperlinks in order to address the “link tax” criticism, although the wording is ambiguous as to when the exclusion would apply. Article 13 is also designed to protect content creators by forcing platforms of user-generated content (including YouTube) to 1) apply filters to ensure that copyright infringing material is not made available on their platforms and 2) if it is made available, to pay licence fees to the content owner. Currently these platforms benefit from provisions in the E-Commerce Directive which effectively allow them to host user-generated material even if it infringes copyright, provided that they do not know about it. There is no obligation to monitor and take down infringing material. The proposed changes would remove that benefit. This provision has faced similar criticism from the big tech companies. Their campaign focuses on the obligation to put in place “effective content recognition systems”, which they say would result in automatic filtering of legitimate works such as parodies and memes. Other than Google, who will be affected? All news aggregators would be affected by Article 11. It would not apply to individuals sharing content on blogs or other websites in a non-commercial context. Article 13 is also aimed at tech giants rather than individuals. Only platforms hosting large volumes of material posted by others would be affected. The draft proposals have been approved by the European Council and the European Parliament, but are still subject to on-going negotiations between the EU institutions. Once those negotiations have been concluded the European Parliament will need to approve the final version of the text, most likely in 2019. If the proposal is adopted before 29 March 2019, the UK will have to implement it whatever happens with Brexit. If the proposal is adopted later than March 2019 and there is no deal, the UK will not have to implement it. If there is a deal (and therefore a transition period) then the UK will have to implement the proposal into its national laws, as will all of the other EU member states. The full text (including the revisions proposed by the European Parliament during the first round of amendments) can be found here. Waterfront are industry leading copyright solicitors specialising in a number of niche industries. If you're interested in working with us, browse our service pages to find out more.